This week on the 200% podcast our topic of conversation is Swindon Town, a football club which has had more than its fair share of ups and downs in recent years. 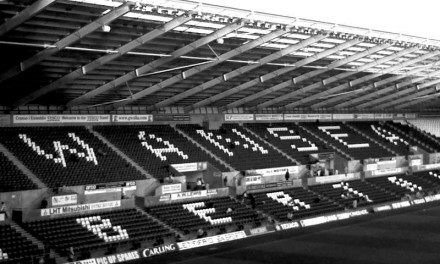 In the interests of research, we went looking for material to review and in the process found two extraordinary documentaries, each of which say more about the club – and, arguably, football in a broader sense ata the time that they were made – than anybody involved in their making would have been able to guess at the time that they were made. Considering that we’re talking about the team in eleventh place in League Two at the moment, we had a lot to say about them. You can find the Channel Four documentary That’s Football right here. You can find Success In The Making right here. You can find the STFC Archive on YouTube right here. 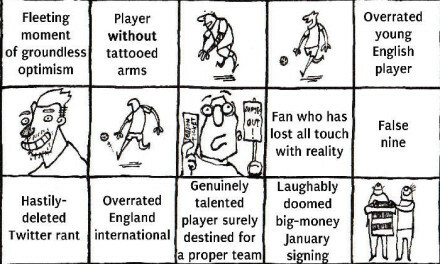 Introducing… Unofficial, Unaffiliated Premier League Bingo!